Garden Theory: Stripped foliage. What the hell? I've been blaming my chickens but I came back from 3 days away where the chickens have been locked in the shed the whole time. 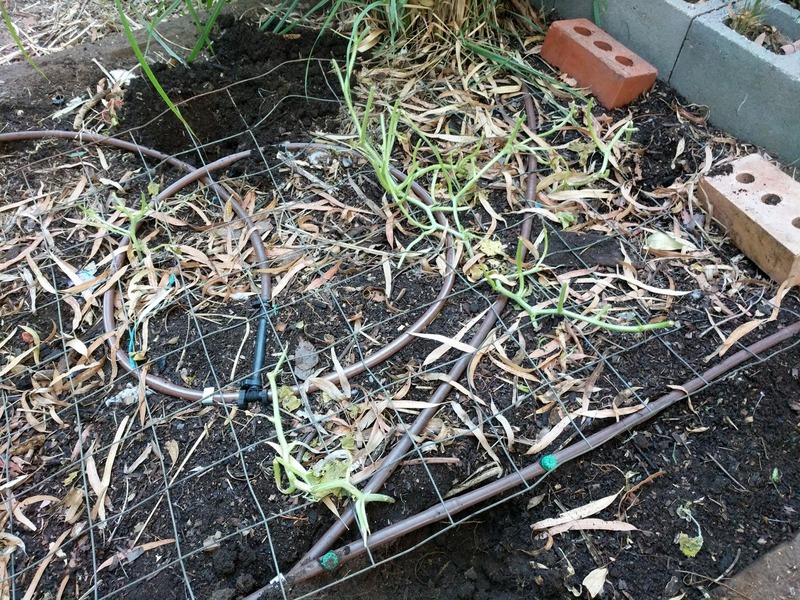 And the rockmelon seedlings that had some nice big leaves on them - well no leaves anymore. I am not sure but I think it might be rabbits possums or koalas that are terrorising my vegetable garden at the moment.